A charming tale of a boy who always liked to go slow. His slow speed balances with one of his friends who likes to go fast, but mostly folks tell Henry to hurry up. 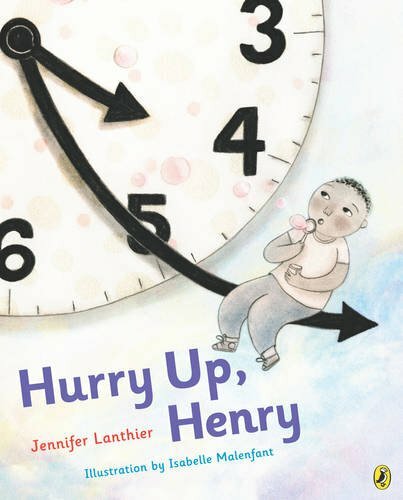 When his birthday comes, his grandmother hatches an idea that turns Henry’s world a little bit and changes his idea of time. A lovely, simple, and perspective-offering read. 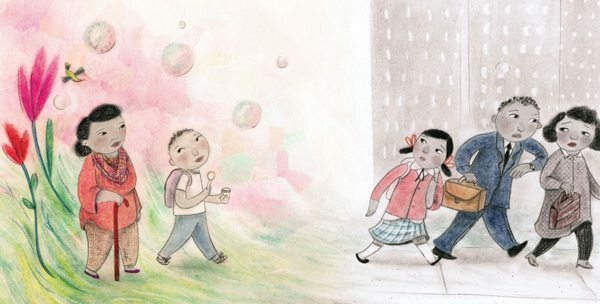 Sweet illustrations that completely expand the text for young readers, this is a gentle new read for those of us who move too fast and those of us who simply need to slow down.